Click the Admin icon on the navigation menu on the left. 2. 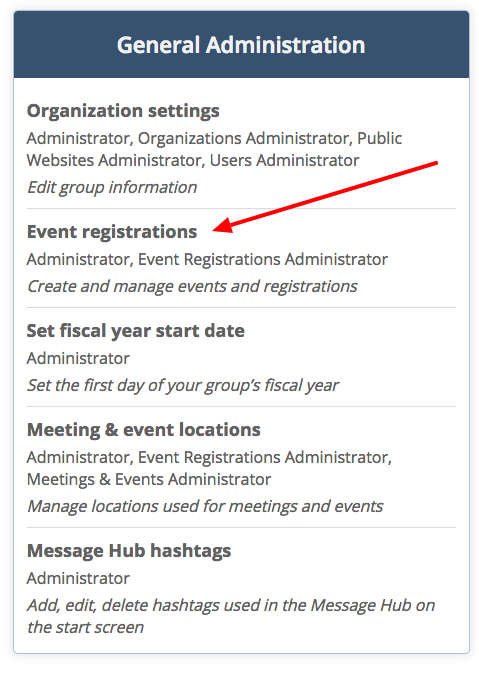 Under General Administration heading, locate Event registrations and select it. 3. On the Events page, look for the name of the event. Click the pencil icon under the Attendee Types column. 4. The list of attendee registration types will appear. 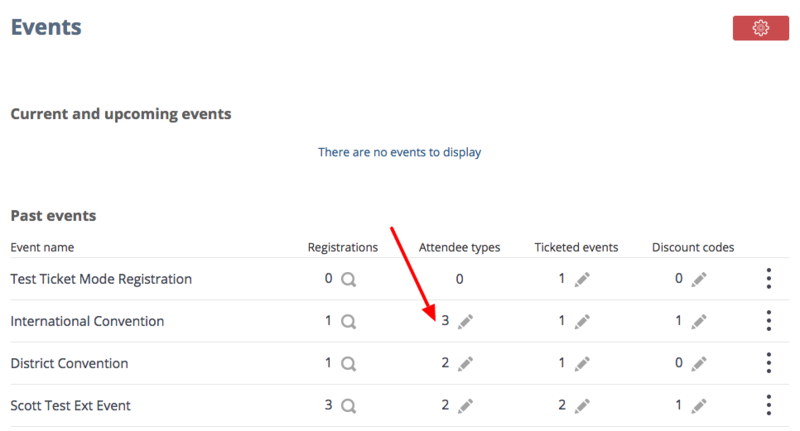 Click the magnifying glass icon to get details about a particular attendee type.